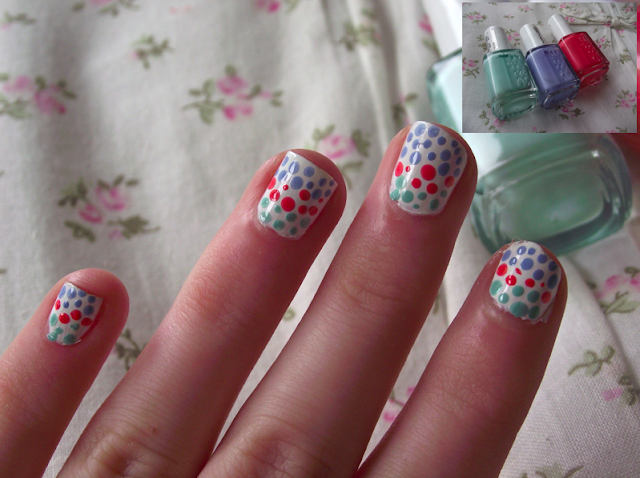 Jesska Denise: Polka Dot Nail Art. Lets just get it out of the way, I'm terrible at nail art. I don't have the patience for it or the steady hand to create such detail. Yet I always find myself on pinterest lusting over all the wonderful nail art and wanted to try something myself. So, I took myself over to the lovely Islay's blog and scrolled through her 'Nail Art' tag till I found something that was so easy even a four year old could do it. Polka dots!!!!! Simple, yet ridiculously cute. Time consuming, yes but worth it to get something different on ma nailzz for a change. I used a white natural collection nail polish which unfortunately barely lasted the day so if any of you can recommend a good white polish please comment below. To create the polka dot's I just used the end of a bobby pin. I might invest in a dotting tool but for now, the bobby pin really works. I used my Essie nail polishes 'Mint Candy Apple', 'Cute as a Button' and 'Bikini So Teeny' and I think the worked pretty well together. It's such a playful look for summer don't you think? If you do nail art on your blog please link me on twitter would love a look. Definitely going to try this! It's so dainty and cute! These are awesome, so colourful! It's so so so cute. This is fab!!! Absolutely gorgeous!!! I see you're in social media marketing, might have to send u mail if you don't mind? 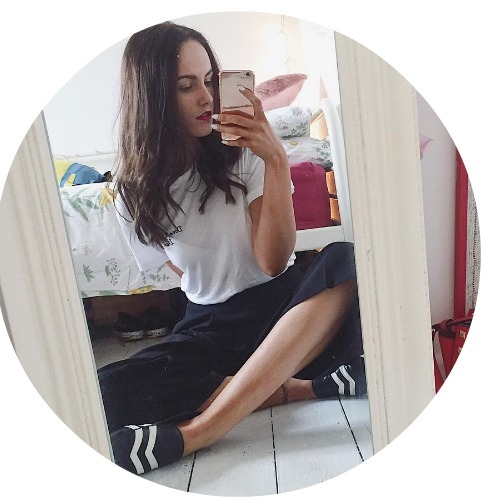 I'm only new to the blogging world , would be great if you could have a look at my blog :) http://bellef.wordpress.com/ let me know what u think!